This is the Giant Zenith Football Trophy which stands 16" tall. 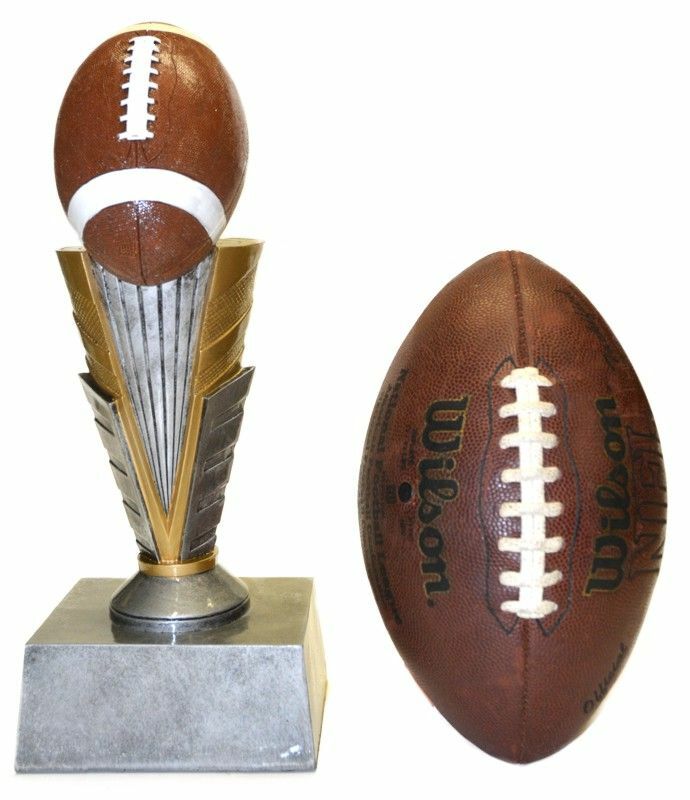 We also have a smaller 13' version of this trophy see the "Medium Zenith Football Trophy" item listing for information. The pictures above show these trophies in front of a regulation size football for size comparison. This trophy can have a "Hall of Champions" plate listing all of your leagues previous winners. The extra Hall of Champions side plate cost $10. We will hold your information on file so you can reorder an updated plate each year for the same $10.